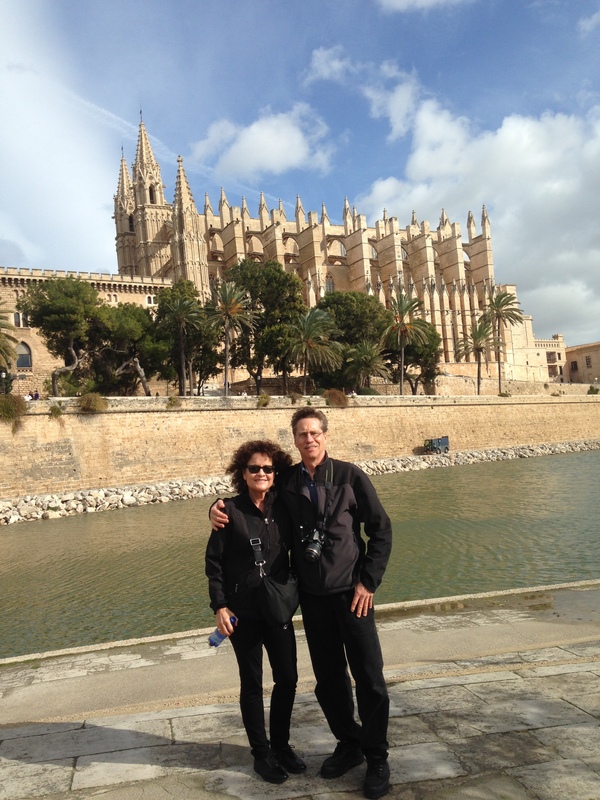 In this photo, taken in January 2014 in Majorca, Spain, Hale and I were creating many, many wonderful memories! 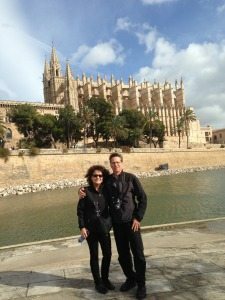 We were on a 15 day trip to Europe, beginning with 3 1/2 days in Rome. There were 8 of us from my family that went, including my parents! One thing is for sure, Hale and I really love to travel! I love that Hale is very adventurous, and has a good sense of direction, which is very important when you are finished with a formal tour, and now you are out exploring the city at your own pace. The weather in January here in Minnesota was well below 0 F and in Europe it was in the 50’s to low 60’s. It’s a perfect time to see Europe, since there are very few tourists, and you can move easily around the different cities we visited. What things have you done or plan to do with people you love, that create memories you cherish? The memories Hale and I and my family members created on this trip just less than one year ago, were priceless! The sense of adventure that came with this trip, the history we saw, the food we ate, and the moments to take in with all of our present moments, were all memories we will never forget. We can create many memories along our journey’s. The more we are living in appreciation of our present moments, the better the memories we create. I challenge each of you to become more aware of what you are feeling and what is going on in your present moments, slow down and begin creating more of the wonderful memories to carry with you along your life’s journey! Write a couple memories below that you cherish!